On April 16, 1865, the 16th New York Cavalry regiment surrounded John Wilkes Booth, who had fatally shot President Abraham Lincoln, and an accomplice, David Herold, in a tobacco barn in Virginia. Herold surrendered to the soldiers. When Booth refused, the barn was set on fire in an attempt to force him out, but Booth remained inside. Boston Corbett, one of the soldiers, saw Booth through a crack in the barn wall. In a later interview, he said that he saw Booth aim his carbine. He shot Booth with his revolver, despite orders from Secretary of War Edwin M. Stanton that Booth be captured alive. Lt. Edward P. Doherty, the officer in charge of the soldiers said the bullet struck Booth in the back of the head, similar to the spot in which Lincoln was shot. Booth died two hours later. Corbett was arrested for disobeying orders, but he was later released and became a hero to the public. No one knows for sure what became of Corbett afterward, but several clues have been found, and these have led to theories of his fate. Corbett was born in London, but moved to New York with his family in 1839. He apprenticed as a hatter, which had dire consequences later in his life. He lived in Troy, New York, and later New York City. He married, but his wife and child died. He began drinking heavily and became homeless. However, he encountered a preacher who appears to have had a profound influence on him. Corbett joined a Methodist Episcopal church, was baptized, and became devoutly religious. He became known in the city as an eccentric and a religious fanatic. reading aloud from a Bible at odd times, and holding unauthorized prayer meetings. He let his superiors know when he thought they were violating God’s word. He rebuked a colonel for using profanity and was sent to the guardhouse. He refused to apologize. Due to disruptive behavior and insubordination, he was court-martialed and sentenced to be shot. However, the sentence was reduced and he was discharged from the army in August 1863. Later that month, Corbett re-enlisted as a private in Company L, 16th New York Cavalry Regiment. He was captured by Confederate soldiers in Virginia and held prisoner in the notorious Andersonville prison for five months. In November 1864, he was released as part of a prisoner exchange. He was admitted to the Army hospital in Annapolis, Md., and was treated for scurvy, malnutrition, and exposure. He was able to later return to his company and was promoted to sergeant. 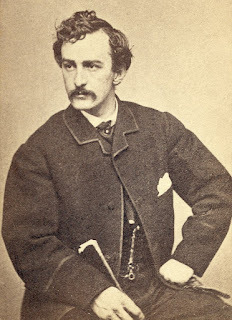 After President Lincoln was assassinated, Corbett's regiment went in pursuit of John Wilkes Booth, and twelve days later Corbett took the fatal shot that brought Booth down. Because he had disobeyed the order to bring Booth in alive, Corbett was court-martialed. He claimed he feared Booth was about to shoot him and that he acted in self-defense. A lot of controversy surrounds the shooting of John Wilkes Booth. Eye witnesses dispute whether Booth was going to fire a weapon, or whether Corbett was actually the one who shot him. However, Corbett stuck with his story. His gun was not examined. Secretary of War Edwin Stanton told the court, "The rebel is dead. The patriot lives; he has spared the country expense, continued excitement and trouble. Discharge the patriot." And Corbett went free. Outside the building, Corbett told the crowd he did not mean to kill Booth, but the man stooped just as he fired, and instead of hitting him in the body, the bullet hit him in the head. He said God avenged Abraham Lincoln. He received part of the reward money that had been offered for Booth’s apprehension. What happened to Corbett after he left the army in August 1865? First he went back to work as a hatter in Boston. Again, he was in the occupation that may have drastically affected his physical and mental health. hats. Repeated exposure has been found to lead to hallucinations and psychosis. 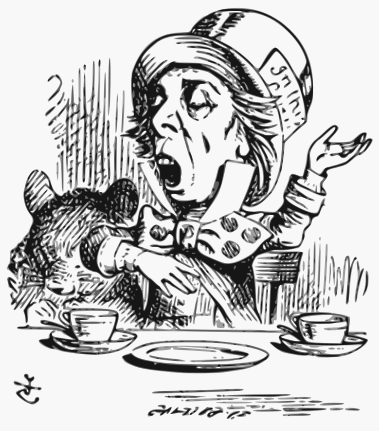 A characteristic twitching has become known at “hatter’s shakes.” Many historians believe the mental issues Corbett exhibited, and I’ve only touched lightly on them here, could have been caused by this exposure. Corbett moved to Danbury, Conn., and by 1870 to Camden, N.J. He continued his work in these places, and was also known as a lay preacher. His erratic behavior and fanaticism are well documented. telling people that authorities in Washington were persecuting him and getting him fired from various jobs because he had taken away their opportunity to prosecute and execute John Wilkes Booth themselves. He began carrying a pistol all the time and pulling it when people acted in what he considered a suspicious manner. In 1878, Corbett moved to Concordia, Kansas, ostensibly to homestead. He continued preaching and attending revival meetings. 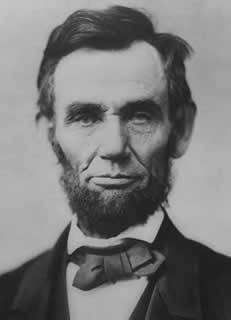 In January 1887, he was appointed doorkeeper of the Kansas House of Representatives, based on his fame as Lincoln’s avenger. But on Feb. 15, he brandished a revolver in the House and made some threats. No one was hurt, but he was arrested and sent to an insane asylum. Corbett’s bizarre story does not end there. More than a year later, he escaped the asylum by stealing a horse left outside. He stayed for a short time with a man he had met while a prisoner of war. When he left, he told his friend he was headed for Mexico. No one knows whether Corbett actually went to Mexico or not. It is believed he went to Minnesota and built a cabin in the forest there. Circumstantial evidence suggests he died in the Great Hinckley Fire in Minnesota on Sept. 1, 1894. There’s no proof, but the name “Thomas Corbett” appears on a list of people dead and missing in the fire. proven to be impostors and arrested. In 1958, Boy Scout Troop 31, of Concordia, Kansas built a roadside monument to Corbett located on Key Road. A small sign was also placed to mark where Corbett had lived for a time on his homestead. For the last five years, I’ve enjoyed talking history on this blog each month. This will be my last post for hhhistory.com, and I will miss it. As a parting gift, I’m offering two books to my commenters this month: The Outlaw Takes a Bride (choose paperback, e-book, or audio disk) and The Captive Brides Collection, a novella collection that contains my story “The Suspect Bride.” Comment below and leave your contact information to enter the drawing for one of these books. Susan Page Davis is the award-winning author of more than eighty novels and novellas in the historical, romance, mystery, and suspense genres. She’s always interested in unusual events of the past. A Maine native, she now lives in western Kentucky. You can visit Susan’s web page and contact her at www.susanpagedavis.com. 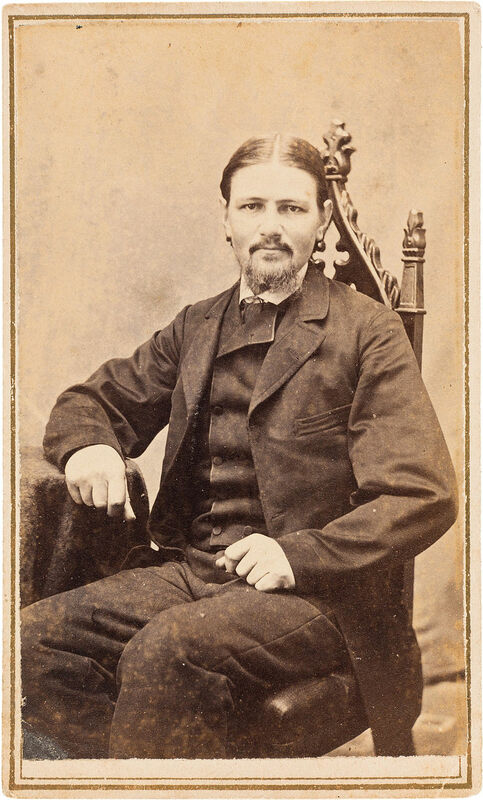 Susan, thank you for sharing your very interesting post about Boston Corbett. I have always enjoyed what you had to share with us and I hate to see you leave HHH. You will be missed. Thanks, Melanie! I'm not done writing about historical events. Thanks for stopping by. I don't know that I've heard about Mr. Corbett before, or maybe I just haven't paid attention! I sure will miss your posts on here, Susan. I look forward to keeping up with you with your own website and Facebook posts. Hopefully, less writing here means more books!!!! Blessings to you! Thank you, Connie. I'm sure we'll "meet up" again. Thanks, Joy! It's been great connecting with you and many other readers here. I've enjoyed this post as well as others you have written. Thanks! I'm sorry to see you go. Hi Susan, I will certainly miss your posts and this last entry is a great one to share. I've missed this tale of Booth's killer and his strange life. I wish you the very best in your future plans. Hi, Connie! Thank you. Corbett's life was even stranger than I've stated here. I felt sorry for him and all hatters as I did the research. I found this interesting. There is a theory that was put in both book and movie form that Booth escaped and lived out his life in South America. They claim the body found in the barn was badly burned and they assumed it was Booth. Put my name in the drawing. You always have interesting posts, Susan. I knew about hatters using mercury and it leading to mental illness. Interesting to discover this connection. Yes, there were definitely rumors and claims made later that the man killed in the barn was someone who had helped Booth escape. This is one of the great conspiracy theories of all time with no proof. That was beyond the scope of this post, but maybe someone else will write about it. Jubileewriter, please comment again and leave your contact info so I can add you to the drawing. Thanks! I am going to miss your posts. You always have something interesting. I have the Captive Brides collection, but I don't have the other one. Susan, you're a faithful reader on this blog. Thank you so much! And you know me; I am usually open to substitutions if you've already read the book offered. Thanks for coming by! I never knew this bit of history! How especially sad that hatters were poisoned from the mercury. Thanks for sharing! Please enter me for the Captive Brides collection! I have always wondered what happened to Booth. I had forgotten about Corbett and it's nice to learn more about him. I love your books, Susan. Thanks for the giveaway and good luck everyone. You're welcome, Debbie, and thanks for your kind words. Thanks so much for sharing from your research. God bless you as you continue writing, but we will miss you here. Thanks also for the giveaway. 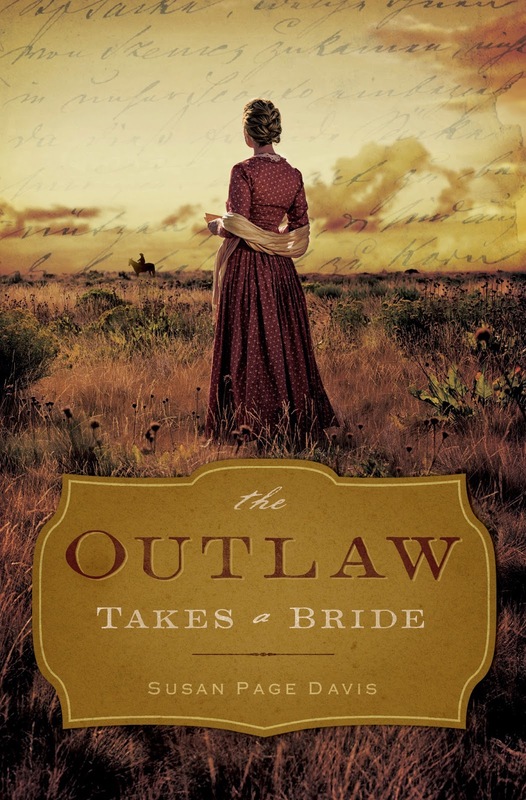 Please enter me for a paperback copy of The Outlaw Takes A Bride. I did not know anything about Corbett, although I had read about the problems of hatters. I have enjoyed your posts and your books! I will follow you on your website. Best wishes and blessings to you! I'd heard bits and pieces too, Linda. Thank you! Susan, I enjoyed reading your post about Boston Corbett. I had never heard of him and it was interesting to learn more about him. It is very sad to hear of the mental torment he experienced in his life and how being a hatter was a huge contributor. I also didn't know that hat makers were exposed to mercury fumes and the grave results/risks they went through for their creations. Fascinating, yet sad. I have enjoyed your posts to HHH and you will most assuredly be missed! Wishing you all of God's best in the days ahead!! Alison, thank you very much! We can learn so much from history. Thanks for stopping by, and I've got you entered. An informative and wonderful post about Boston Corbett. I've enjoyed your posts on HHH and you will defnitely be missed. I enjoy reading your historical research on HHH and in your historical fiction books. Blessings on your writing and hope to see you on other blogs or events. Thanks, Marilyn. I'm still writing. In fact, I have a new historical release this month, in the Seven Brides for Seven Texas Rangers collection. See you!